My hubby use to call me a running snob!!! He started running about one year after me and really wanted to run with me. 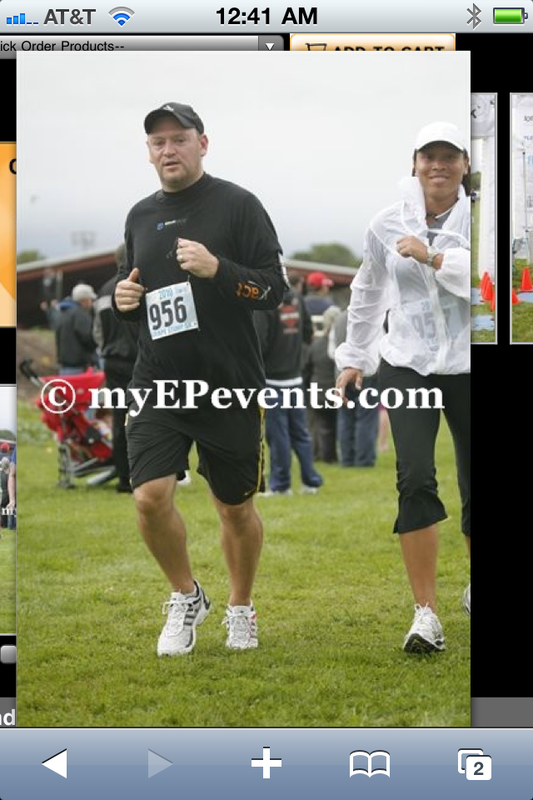 The first run we did together, he obviously didn’t know about running etiquette. First, he ran ahead of me about 2 steps!! As if!!!! Then when I kindly told him we are suppose to run “together.” He obliged and did. As we were running, he darted off across the street instead of going to the end and crossing at the cross walk!! Seriously????? Of course, he was way ahead of me!!! I was not happy. What’s the point in running together if your going to run ahead of me the whole time? Anyways, I refused to run with him again after that. He apologized and said “I don’t know running etiquette.” I still refused!! I like to run non-stressed and relaxed. Not worrying about being left behind!!!! It took a long time for us to run together again. He promised to stay close to me and run the route. 🙂 That was a year ago and we have run together maybe a total of 4 times over the last year. Recently, we started running together again. He couldn’t really run with me because I run longer distances than him and he can’t maintain long distances yet. He wanted to run a half and we decided to run a half in Feb with some other friends. He has been training for the half and running longer distances. Last week, he asked what my planned run was for that day. 5 miles I stated. He said great can we run together. Sure! Why not! He knows the rules!!! LOL.. Remember I’m doing this new running freely, no watch, no pacing gadgets, just run thing right? Well I forgot to tell him. I knew he was using his Nike+ app and he could at least keep track of our distance. I failed to tell him my new running plan. He usually doesn’t shout out our pace but this day he did!!!! (of course) I tried to ignore it and just keep doing what I’m doing. I only wanted to know the half way point so I can turn around. Then at the last mile, he shouts “let’s pick up the pace and go!! !” I’m thinking to myself….”you go right ahead and I will follow behind.” He never really picked up his pace, so I never changed mine. At the end, he says “I tried to run faster but I didn’t have it in me.” LOL…He just started running longer distances so he still needs to train his legs endurance. I then explained to him my non PR running plan. 🙂 Helps to communicate huh? (after 18 yrs of marriage) It wasn’t too bad, it actually helped me to focus and block things out. Seems I have lost that skill since my kids are older now. LOL 🙂 I use to be a pro when they were younger. I’ve actually enjoyed couple running lately and I still really enjoy my “solo” runs too. 🙂 Anyone else couple run?